Omnitrition is a multilevel marketing company that sells nutritional and weight management supplements. Omnitrition’s headquarters are in Reno, Nevada. In today’s post, I am going to share the Omnitrition history. I will provide an unbiased review of this multilevel marketing company. I will also provide some facts I discovered while researching this MLM company. We are providing this information to help you decide if you would like to use any Omnitrition products, or if you would possibly consider becoming an Omnitrition independent representative. I am in now way affiliated with Omnitrition. Roger Daley was an independent representative of Herbalife in the 1980’s. Realizing that he wanted to start his own multilevel marketing company, Roger and his wife Barbara veered out in 1989 with their own nutritional supplement company called Omnitrition. Roger’s first product was a liquid nutritional supplement called OmniLife4. Roger based his multilevel marketing company off what he learned from Herbalife along with studying all the rules that were discovered when Amway was taken to court years earlier. Omnitrition had a great start and people began to join the opportunity. The system worked like a dream but suddenly in 1994, Omnitrition was attacked with several lawsuits. The most notable suit was Webster VS Omnitrition. Two former independent distributors from Omnitrition were suing alleging that Omnitrition was operating an illegal pyramid scheme. Daley and his defense argued that since he had followed all the Amway precepts, the company could not be deemed an illegal pyramid scheme. The court looked closely at all aspects of the case. In the end, Omnitrition was found to be operating legally. Omnitrition is still in operation. They offer liquid nutritional products, weight management products, energy providing products and other specialty products. Omnitrition’s system has been shown to operate quite similar to the Herbalife system. This is no surprise since Roger Daley was with Herbalife for a long time. When I viewed the many online reviews, I find a mix in both positive and negative. There are many who state that the Omnitrition weight management system has helped them lose pounds in a healthy way. I did see several before and after pictures, and I must admit that it looks genuine. Other people claim that these products are overly priced. For the majority of those who were looking for a weight management program, from what I see, the Omnitrition system would cost a person in the neighborhood of $200 per month. While this may seem high priced, there are people who pay that much or more to belong to certain gyms or have personal trainers. Some have claimed side effects from the ingredient in some of the Omnitrition products called synephrine. Some have both synephrine and caffeine in the same product. The Finland Food Safety Authority has declared this to be an unsafe combination. From what I can tell, the majority of independent Omnitrition distributors are happy with the company and the money they earn. You will see at the Omnitrition website that you cannot do anything without going through a distributor. This is good because it makes sure that distributors get all the business whether it is product sales or a person who wants to become a distributor. Distributors can get refunds on unused products, but they cannot be over 3 months old, and the distributor only gets 90% back. Many people do not realize that the appeals court ruled that the original court needed to retry the case, but before this could happen Omnitrition settled out of court for undisclosed amounts of money. It seems that Mexican Billionaire, Jorge Vergara now owns Omnitrition. Roger Daley also wrote a popular book entitled: “What You Don’t Know Will Hurt You”. There are estimates of over 5 million independent Omnitrition distributors worldwide. The people named as defendants from Omnitrition in the major case were Roger Daley, Jim Fobair, Charles Ragus and Jerry Rubin. Omnitrition has essentially proven they are a reputable multilevel marketing company and are here to stay. Have you used any Omnitrition products? What was your favorite? You can tell us your comments or ask any questions in the comment section below. If you are interested in trying any of the Omnitrition products or becoming an independent representative, just visit the Omnitrition website. You can find it in the reference section below. 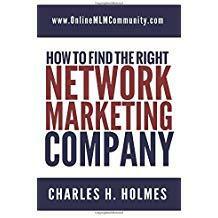 Disclaimer: Neither I nor Online MLM Community is affiliated in any format with Omnitrition. This information is for educational purposes and we neither support nor disapprove of Omnitrition. Omnitrition products are not meant to diagnose, treat or cure any diseases. Omnitrition Review – Do These Weight-Loss Supplements Work? Sounds weird. I haven’t heard of companies keeping money from their reps unless they fell out of qualification on a given month. Sorry to hear you had an accident. Hope you are okay now. I did Omnitrition last year and lost 50 lbs in 100 days…I have kept if off and my doctor recommends this program to other patients bc of my success. I am the healthiest I have ever been. It is NOT a 500 calorie diet.. we dont count calories on it.. You eat a healthy meal for lunch and dinner and fruit for breakfast and snack… If you did this program without the drops you would probably starve.. Anyone can post anything negative on the internet of course. I have has success with this program so I would be more than happy to help anyone who has any questions or want to know how this REALLY works! Glad you had a good experience with it.